we started the morning with frost and ended it with fog - just liked the colour contrast. I need to practice using the macro on this camera. Taken on my way to work this morning as we were all supposed to be in work all weekend. So pretty! I love the way frost outlines and defines the world. Beautiful colors, I like the red in the background. Working all weekend? That sounds horrible, but then again, if I really wanted to get even 2/3 of my work done, I'd have to work all weekend. I just don't. I like the green leaf on red background...with frosty trim! love the green against the red! Nicely done, just slightly out of focus on the main leaf. Now I recognize your profile pic! Great shot. Love the colors and textures. Great contrasting colours, super frosty leaf. Looks good enough to eat! :) Love the details of that frost! 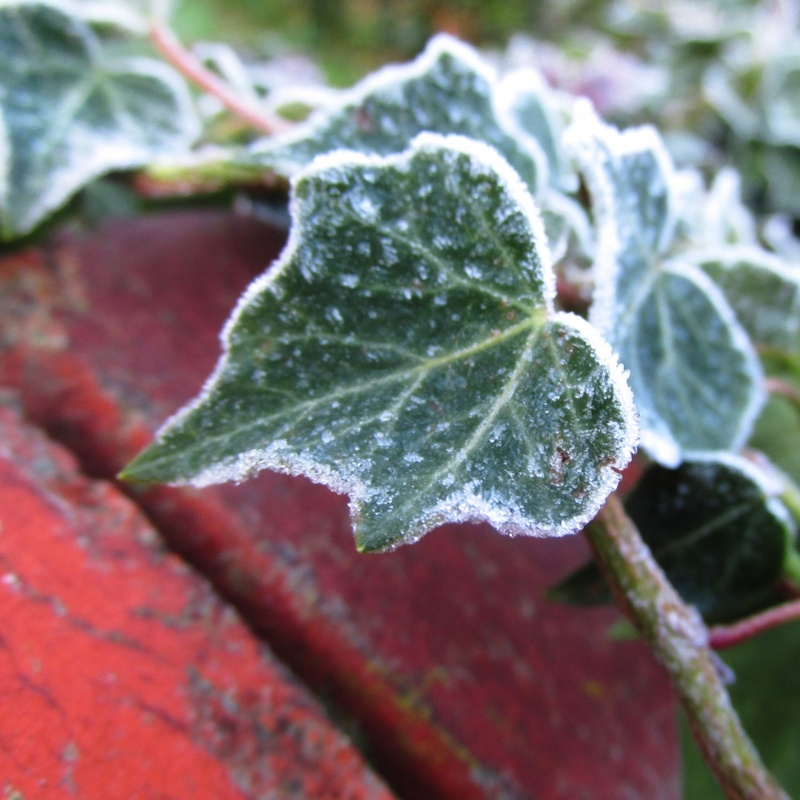 Just beautiful capture of the frost on the leaf, well done.